There is a great website, allegedly based in Singapore, that posts old and new concerts and demos each Thursday. 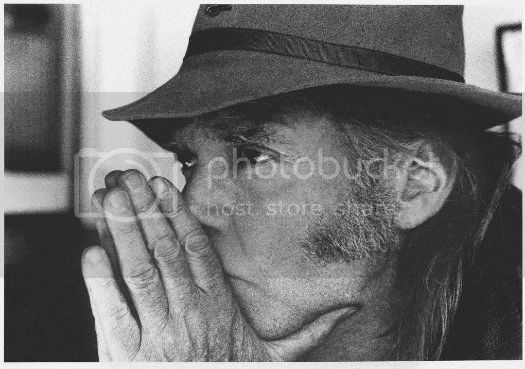 The people who run the site must be obsessive Neil Young fans as they have his shows uploaded within a day or two of the performance. They never post anything that can be purchased legitimately from any artist they post even purging tracks from compilations if they are available commercially. Only a handful of artists from the '60s and '70s can maintain an air of creativity and mystique and still sell out giant venues. Neil is the king of that group of artists. Most exceptionally talented performers have one, maybe two, “rally the troops” anthems. Neil has at least 10 -- “Like A Hurricane,” “Cortez the Killer, “ “Hey Hey, My My,” and Down By the River” just to name a few -- and so many more that I will be bombarded with comments for not listing someone’s favorite Neil anthem. I have to confess I have not been that keen on Neil’s output since Ragged Glory. Each release had one or two standout tracks but they rarely felt like an album of songs that fit together. I am partial to the “ditch trilogy” of Time Fades Away, Tonight’s the Night, and On the Beach and the two LPs that followed, American Stars and Bars and Zuma. Neil coined the phrase in the notes for the LP version of Decade. He said Harvest put him in the middle of the road and Time Fades Away put him the ditch. He made less money but met more interesting people there. Every new release that had even one strum of an acoustic guitar was lauded as "the best Neil Young since Harvest!" While Comes A Time and Harvest Moon tried to replicate the Harvest formula, they didn't quite make the mark. Rumor has it Neil and the Horse will release a new studio CD in September and they played five new songs over two nights at Red Rocks, maybe to appease the muse gods and goddesses for the downright abysmal recent covers release Americana. Each performance, while using the same material, was unbridled ecstasy for any Neil fan comprising songs from nearly each of his best periods and, yes, there is a new anthem among the new material performed over two nights. Neil is so good at writing in the third person even on his darkest, most personal songs that sometimes it is hard to tell when he is reflecting on his own life, a character he just created, or someone he knows. On the five as-yet unreleased songs he played each night, he leaves no doubt about the inspiration of the lyrics and there is no doubt that this will be his most personal release since On the Beach. The distorted twin guitars and solid bass and drums are the perfect backdrop for the most powerful and bold lyrics Neil has written in years. The other new songs have similar power and the lyrics are sometimes painful but honest coming from one of rock’s most confusing artists. “Twisted Road” is the presumed title for the new release and the song itself has Neil reflecting on his early days as a local musician in Ontario with a nod to one of rock's other mysterious charactors. The reference to “Roy” in the song could be Roy Orbison but, being a fellow Canadian, I feel it is about the late Roy Buchanan, a long time friend of Neil who tragically took his own life in the '80s. Gave it a twist and made it mine but nothings was as good as the very first time. Poetry rolling off his tongue like Hank Williams chewing bubble gum. There is even a new song that updates Time Fades Away and the biographical, “Don’t Be Denied.” “Born In Ontario” finds the child turned to wandering musician remembering his roots in Canada. Time Fades Away and Journey Thru the Past are the only records that have not been released on CD. He felt they were too personal and depict a bad period in his life, just after the huge success of Harvest. Maybe if the new songs get released -- you never know with Neil -- it will prompt him to, at least, give Time Fades Away the remastered treatment to an already great sounding LP. Neil has been very consistent in not giving the people what they want but since “Zuma” he has doled out the classic Neil on nearly every release. If Twisted Road comes out in September as predicted and, with the new songs, Neil may officially put himself back in the spotlight as one of the most important artists of this and the last century.